So, I was looking for an ARL-44 kit for a while now, the only result on the 1st page of google relies to it is someone else asking the same question from 2005, so over 10 years ago. I'm just wondering, why every companies, aside from some European companies, released at least 1 1/35 Tiger I/II kit during the last 10-15 years, but not a single ARL-44 or even an AMX-50? I know there are the AMX-13, the AMX-30 and the Leclerc, and some WW1 and inter Wars tank (Somua S35, the only new kit is from Tamiya in 2015), but these are only a few tanks compare to what the French line up had either eras. Because French tanks are not iconic, popular and "historical" as other nations? Yes, indeed they are. Though, if one says that "they have no market", it's just an assumption. Does anyone really tried to get on that part of the market in the 1st place? With so many vehicles in 1/35 unproduced. Lack of information is just an excuse. Saumur tank museum in France is open with many native vehicles and some of them have intact interior. People reached out for Bovington, but not Saumur . Checking Armorama, I see that people, even if it's sarcastic, are tired of every Tiger and T-34 releases. Yet, many experts are still pointing out the same errors that existed for ages. Girls und Panzer, like it or not, features French tanks quite recently. I thought it was a marketing opportunity for companies to launch some ww2/early cold war French tank. Yet, still 0 French kit til now. It is just frustrating for me. There is also the AUF-1 (or whatever the correct designation is) 155mm howitzer on AMX-30 chassis. 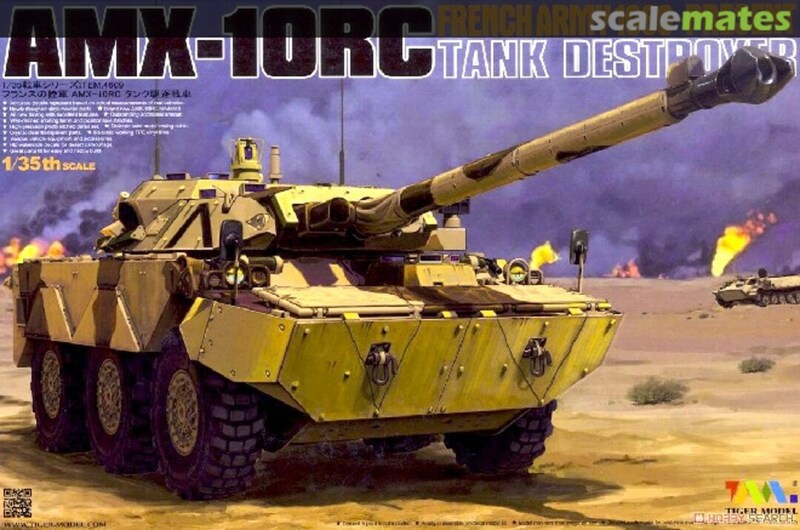 There are also a few armoured cars, AMX-10RC, ERC-90 and a few different flavours of Panhard-VBL. Heller did the VBCI a few years ago and they had the 4x4 and 6x6 VAB. Tiger Model started off with a few french armoured kits but now they seem to be moving into modern Israeli and Russian and two Leopard-based prototypes. 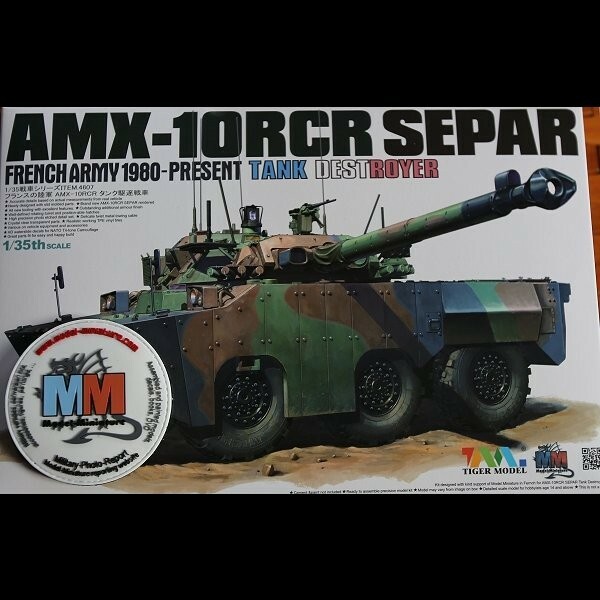 I think the companies choose to do kits they think will sell, maybe they underestimate the potential market for French armour. As a fan of French tanks, I feel your pain. With that said, things have improved since the days when the only tanks I could buy were those God awful Heller 1/35 kits 30 years ago. Tamiys have given us arguably the best of the WW2 tanks, the Char Bis and Somua S35. They also gave us the LeClerc and Meng tossed us an excellent AMX-30. WW1 French is very well covered. Also we do have a Hotchkiss H39 and Renault R35 in 1/35. We do need a plastic Renault D2 although at least Azimut and Commander's do provide resin kits. I confess to being a bit mystified why these aren't more popular, if people like WW2 panzers for the painting freedom and variety of camouflage patters they should love those French tanks! Where we have real gaps is in the 1945-1955 range. 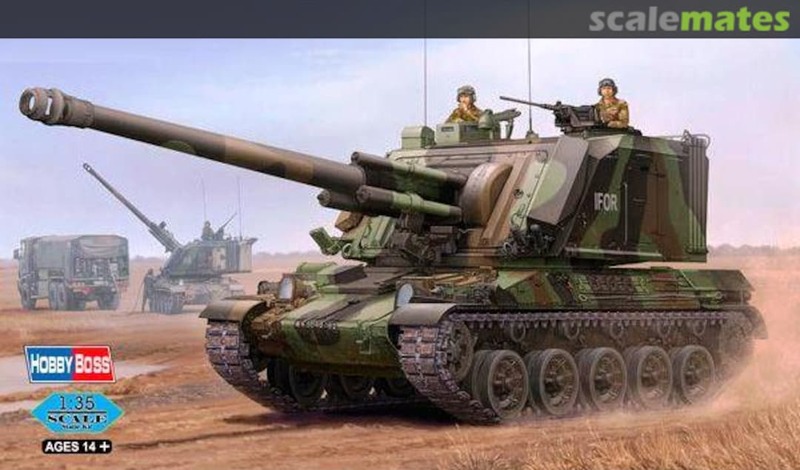 I want an ARL44 so badly that I literally flew from the US to Saumur so I could climb over theirs and measure it for scratchbuilding. I suspect part of the problem is that they were in service fairly briefly, never went into combat, and were objectively failures. Which as a fan is no reason not to do those (and give me an AMX M4 while you're at it!) but I guess does explain it a bit. With that said, God bless World of Tanks for making these types of tanks popular and potentially marketable. 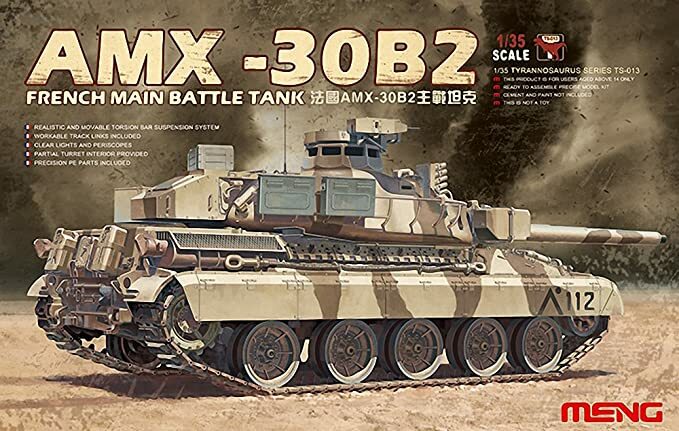 I would not be entirely surprised to see an ARL44, AMX-50, and British A43 Black Prince in the next 1-3 years simply because many manufacturers seem willing to tackle some pretty rare subjects for us. Time will tell! Blitz Kit has released some late 30's French tanks in resin. Also, Hobbybos makes the Schneider and St Chamond, and Takom the St Chamond, so there's actualy a lot out there. 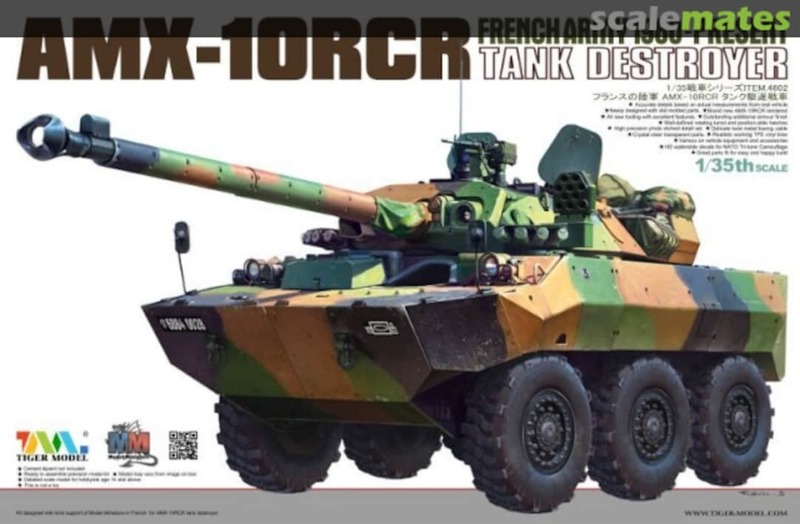 Both Blast models and KMT make resin figures and upgrades for French vehicles. 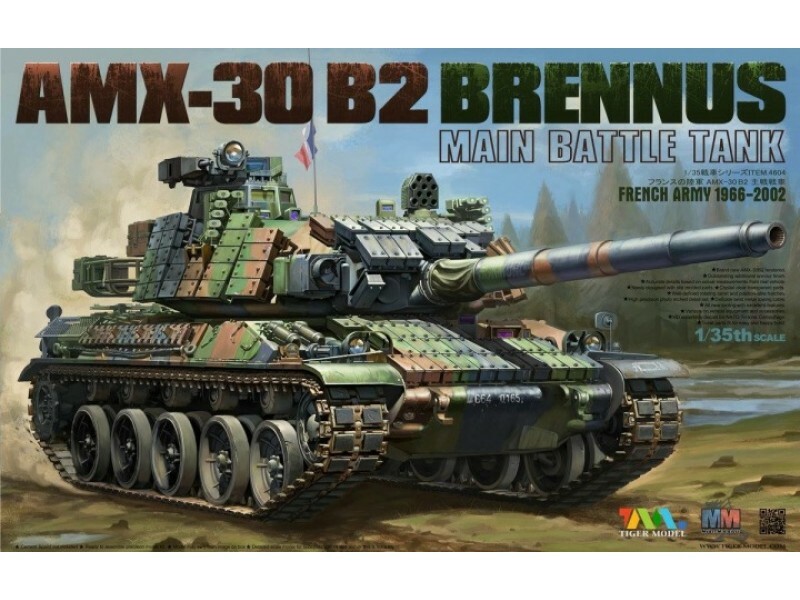 I saw these AMX-30 kits stay the in stock of a local store for years, including the SPAA version. I tend to focus on tanks more than just any AFV. I also visited Saumur in 2017 and I really admire ARL-44 and AMX-50. They are not considered successful, but even the US prototype T29/30/34 and T28/95 are all considered failure but they get covered thanks to World of Tanks. The French tanks are really underappreciated. 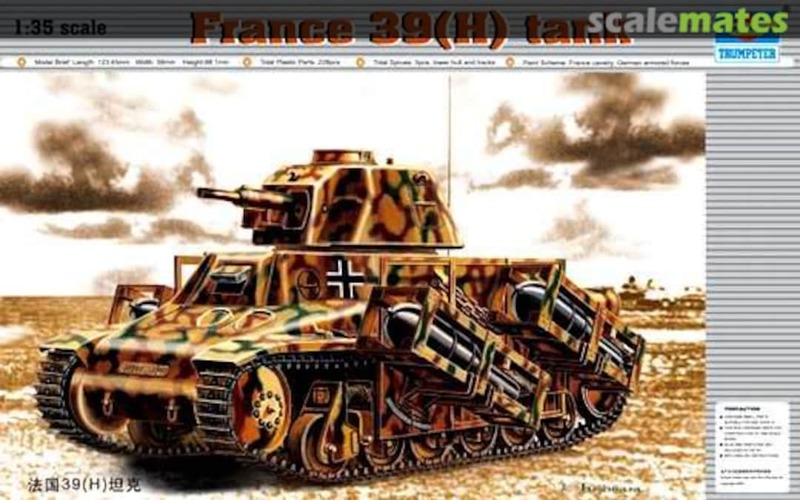 War Thunder from Gaijin, a competitor to World of Tanks, had send a team to Saumur to take measures of the French tanks to make the model for their game. People are also known to contact the Museum for information. Thanks Henri-Pierre for the suggestion. However, I prefer plastic kits as they are easier to work with for me. P/s: I apologise for the rant. 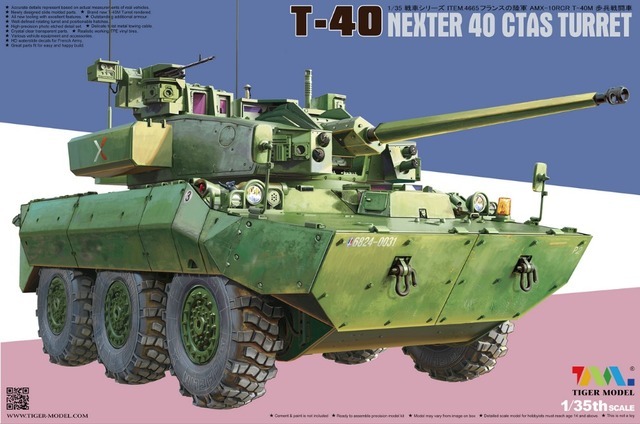 When I mentioned AMX-30 and the AUF I was thinking about the kits from Meng, I don't think Meng has done the SPAA version yet. During the period 1940 - 1955 there wasn't all that many tanks Made in France. To answer your question, I suggest you search any modeling forum or magazine for the phrase "Why don't they make". You will find the subject discussed hundreds of times. The answer ultimately comes down to money, like everything else in the world. We see something similar over on Large Scale Planes: WNW has released some weird-assed planes I've never heard of, but a state-of-the-art Spad? Thankfully Copper State Models has released two versions of the iconic Nieuport 17. The parade of box art above shows there has been an upsurge in French AFVs, especially post-war. Maybe the humiliation of 1940 makes pre-WW2 and early WW2 vehicles commercial pariahs? Maybe the humiliation of 1940 makes pre-WW2 and early WW2 vehicles commercial pariahs? Don't ask people to do your work for you. We're all glad to help, but please make an effort yourself first. Just for the amusement and a little bit of curiosity needing assuaging... 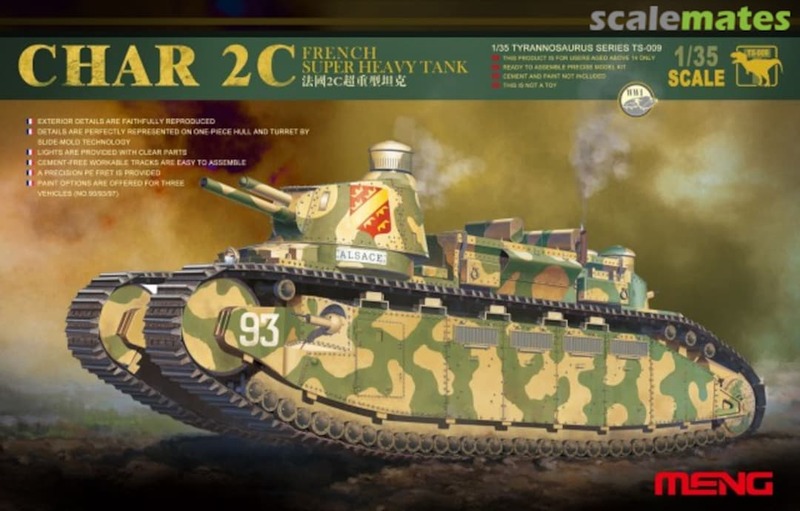 I just did a quick Google around 1/35 French (armor, military, tank) kits and a little variation on those Q's. I found over 120 1/35 kits covering about 30 general subjects from WWI, WWII period, and post-WWII. "General subjects" meaning a general model or type of vehicle, such as "AMX-13". There are quite a few variants on the AMX-13 chassis, as there are on the Lorraine 37/38L types, Renault R-35, etc. Many of the WWII-era tanks appear in both French original and German re-used / mod versions. My search only included tracked and wheeled armored vehicles - no moto's, no trucks and cars, figure sets, etc. We should note when speaking of the French that many of the pre-WWII vehicles were adapted and modified by the Germans, and that the 1945 - 1955 period saw modest French vehicle production - and post-WWII French forces used a lot of ex-US, Brit, German vehicles in the first few years after WWII. My search excluded all of those seconded foreign things. There's a pretty nice and currently expanding range of French stuff to build and modify. And yes, just like with all the other nation's military-in-models, there are gaps and seemingly common French vehicles not yet kitted. I think... Just Wait! They'll eventually appear. One of the more interesting observations from my little search is that there is all of about one French plastic model company (Heller), and no current French manufacturing of "modern, state-of-art" French military kits. GGEEEEZZZZZ; WHY AREN'T THERE ANY 1/35 RUSSIAN (SOVIET) ARMOR !!!!!!!!!! Removed by original poster on 01/15/19 - 08:22:31 (GMT). I know of the Leclerc from RoG, the 4x4 VAB by Heller Char Bis from Trumpeter and R-35 from S Model. You can add the AMX 30/105, AMX 13/105 and the Somua S-35 from Heller. 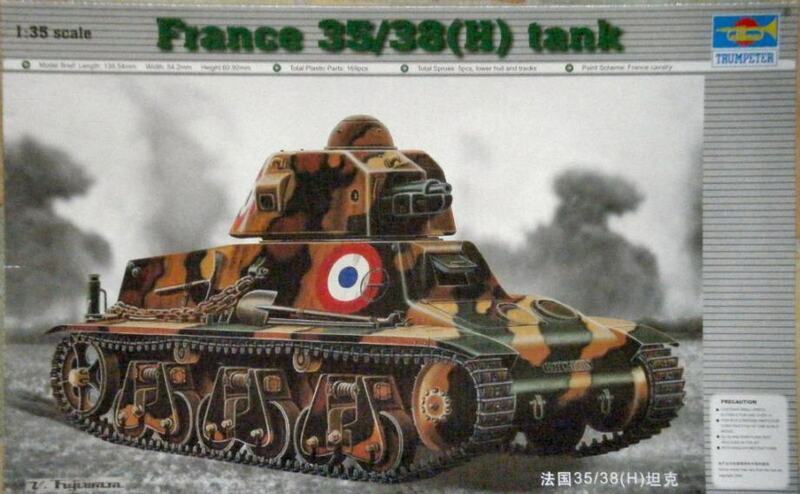 It should be clear to all that there actually are a fairly rich diversity of French armor kits in 1/35th scale.... covering AT LEAST 30 FRENCH-BUILT types of tanks, armored-cars, and APC distributed over the WWI, WWII, and post-war-to-modern eras. Many available kits reflect these originally-French vehicles in modified versions such as those used by the Germans in WWII. 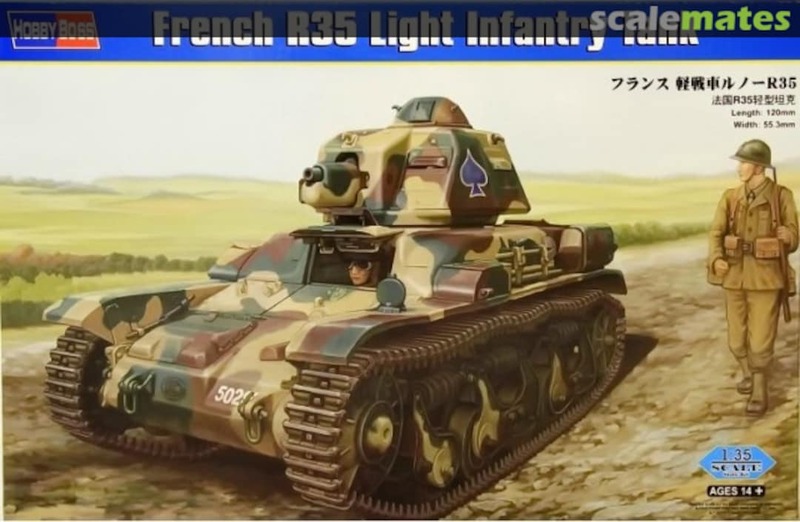 While "rich", all can also see that the current list of original French types represented by 1/35 scale kits is LIMITED.... As are the lists of types rep'd by kits for about any country! Now should come our usual "wish-lists" for French stuff that isn't well-represented yet. From where I sit, we have some good selections of R-35, S-35, H-37/38/39, Char B1, FT, St. Chamond, Schneider, AMX-13, AMX-30, LeClerk, VAB, AML, AMD, EBR, and Lorraine types available, among others. What are we really lacking? 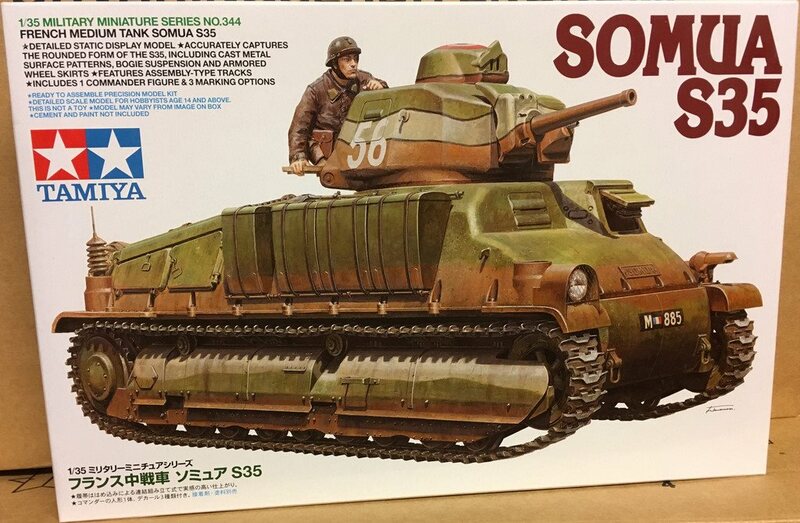 What types are not yet reasonably represented by 1/35th scale kits??? 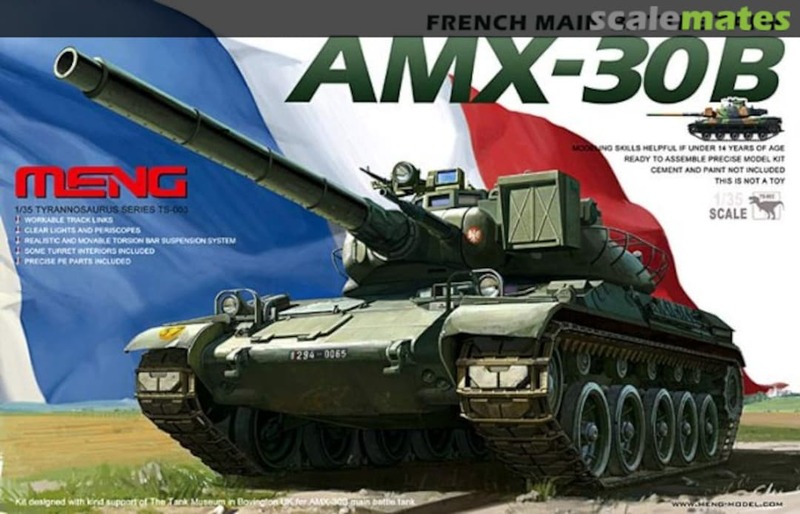 My "votes" for "more French armor in 1/35th" include: FCM tanks, Renault D, AMC and AMR types, Panhard and Laffly armored-cars and tractors, and Citroen-Kegresse half-tracks, for starters! Maybe if enough folks clamor for "MORE French! ", some kit-makers will eventually rise to the occasion and opportunity! They even have a section called "French Section". Right NOW, looking on the evilbay "newly listed" armor kits... 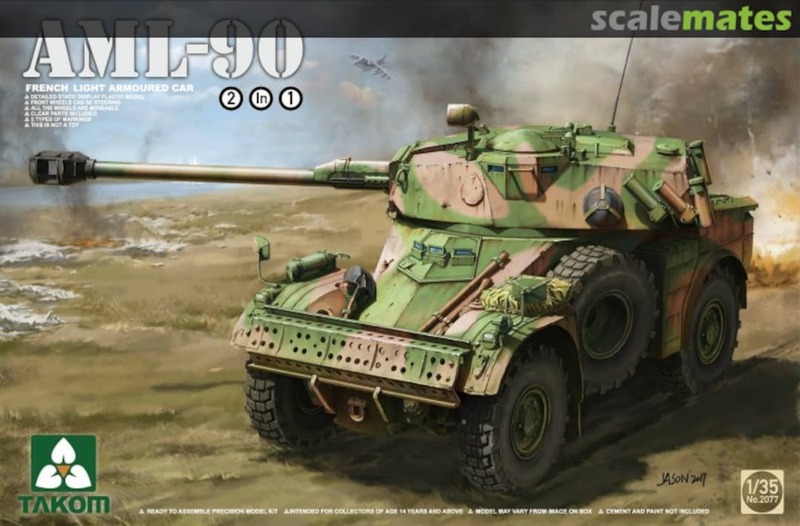 There are 7 1/35 French vehicle kits, and 1 track set, out of the MOST RECENT 100 listings posted TODAY! Maybe folks are watching this thread and making some sort of "statement"?? ?